This fact is even more significant as the race was celebrating its 30th anniversary. 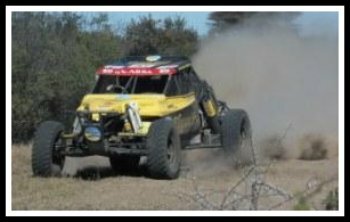 The Kalahari Botswana Desert Race took place between the 23rd and 26th June 2011 with the start and finish points in Kumakwane, a village located 25km west of Gaborone. A quad bike event kick-started the programme on the 23rd and 24th June covering 750km route. The main race that includes 4x4 vehicles and sand-masters (referred to as bats) took place on the 25th and 26th June. The desert race which is the only one held outside South Africa is the 4th in the year-long calendar of races. 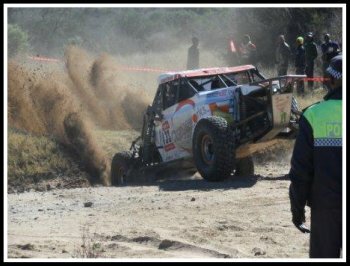 First the crowd's favourite Hannes Grobbler suffered a car-breakdown on Saturday 25th during the first 500km run. Then on Sunday when spectators had long concluded that Toyota Hilux will finally settle the most sought after victory, instead a Ford Ranger emerged first to win the race. Driver Chris Visser and navigator Jappie Badenhorst led team Ford Ranger to victory, with Ford having won the first desert race (then called Trans Kalahari desert race) in 1975! 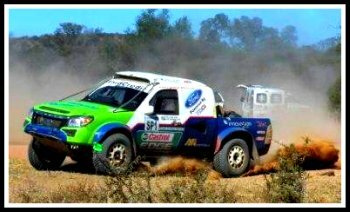 That was a feat achieved by Piet Lambrecht and Giel Potgieter in the Ford 250. 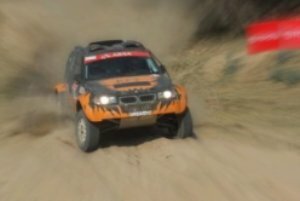 The Toyota Hilux driven by Anthony Taylor and Chris Birkin settled for the second spot after surviving a roll when they were leading the race in the last 100km of the entire race. 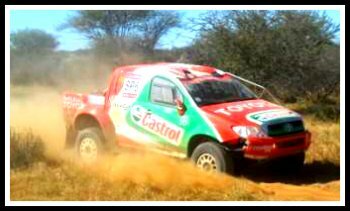 Another Toyota Hilux driven by Jannie Visser and Joks le Roux took the third spot. However, overall the race was won by 2 special category vehicle of sand masters or bats as they both beat Visser to the finishing line. The Special category was won by Karl Heinz Sullwald of Elegent Fuel and followed by Shameer Variawa of Motorite.